Peer-to-peer (P2P) investing offers the potential for high returns. With those higher returns, however, comes higher risk. 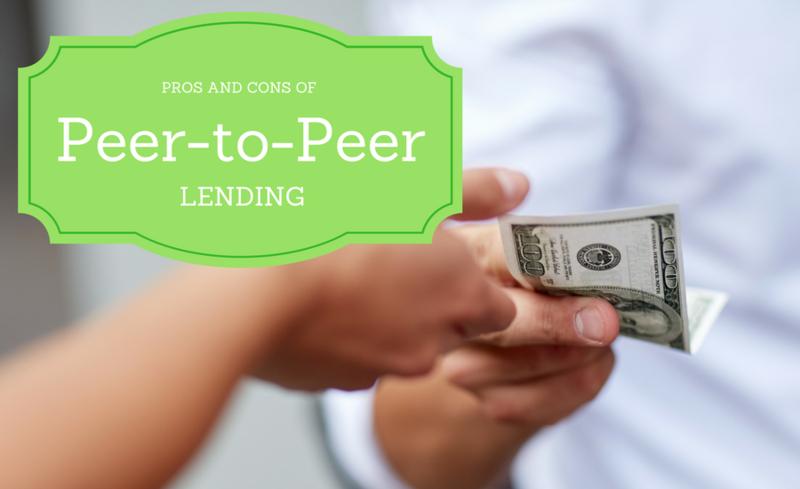 Here we cover the pros and cons of investing in peer-to-peer loans. P2P investing has been growing in popularity in recent years. Some estimate that the market will near $900 billion by 2024. But should you join the party? You might want to consider it, once you understand the benefits and drawbacks of investing in these types of loans. Here’s a rundown of exactly what to expect and what you should keep in mind before investing. The entire process of P2P investing takes place online. That’s everything from completing the paperwork to investing, to receiving income payments. There’s no need to go to a physical location, or even to make lengthy phone calls. You simply sign up on the P2P platform, transfer funds to the account, select your investments, and begin receiving monthly payments. P2P platforms offer what is commonly referred to as “notes.” These represent small slivers of whole loans. On most sites, you also have the option to invest in an entire loan. But the more common method of P2P investing is to invest in notes. Each note can be purchased for as little as $25. This means that with a total investment of $1,000, you can purchase shares in as many as 40 individual loans. With $10,000, you can invest in as many as 400 individual loans. What’s more, some P2P platforms let you establish criteria for the notes that you will invest in. For example, you can choose to invest primarily in higher grade loans, where your investment is at less risk. Alternatively, you could select lower grade loans that offer higher interest rates. It’s common knowledge that savings accounts typically pay no more than 1% per year right now. You can earn a bit more if you are prepared to tie up your money for several years (such as with CDs). By contrast, it’s easily possible to earn high single digit returns on P2P investments. You can even earn low double digits if you’re prepared to take on additional risk. Investing just part of your fixed income holdings in P2P lending can help to increase the overall rate of return on that part of your portfolio. When you invest in a certificate of deposit, you don’t receive any interest income until the certificate matures. If you invest in a bond, your interest income will be credited quarterly or semiannually. But when you invest in P2P loans, you will receive payments every month. This makes them perfect for generating a regular income. There is one aspect of the monthly income situation that you do need to consider. Since each payment includes both interest and principal, the notes are self-amortizing. Let’s say you have a portfolio of five-year notes and you take the monthly payments as income each month. At the end of the term, your account will amortize down to zero. That means that you have to continually reinvest at least a portion of your investment income. There are some downsides to using this investment vehicle to grow your money. Here are a few we think you need to note. Not just anyone can invest in P2P loans. State and federal laws often require that you be a more seasoned investor and have greater financial strength. For this reason, P2P lending platforms generally require that you qualify as an accredited investor. Individual states often impose additional restrictions. The reason for these requirements is that P2P investing is relatively new and includes a level of risk that has not yet been fully measured. This gets down to the risk factor with P2P lending. This investment activity only got started around the time of the financial meltdown. The vast majority of the experience has been in the years since that event. That includes the two largest P2P lender platforms, Lending Club and Prosper. How investments with these lenders will perform in the next recession — given that they now have large, mature portfolios — cannot be known at this point in time. But what we do know is that when recessions hit, credit quality declines across the board. Debt consolidation loans tend to be riskier than other types of loans. They represent the process of replacing one debt with another. But more specifically, debt consolidation opens the possibility of a borrower incurring even more debt. For example, once the borrower’s credit cards have been consolidated in a new personal loan, there’s an excellent chance that the borrower will run up those credit cards again. If he does, the debt consolidation loan may become even riskier. Loans made on P2P platforms are usually unsecured. That means that in the event that a borrower defaults, there is no collateral waiting to be seized to satisfy the debt. The borrower could default, with no recourse for investors. This situation is gradually being addressed by some of the larger P2P lenders, but only very slowly and on a limited basis. The problem is that once you buy a note, you’re expected to hold onto it until it is fully paid. That can take up to five years. 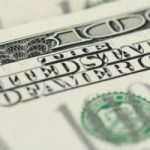 If you need the cash out of your investment, you may not be able to sell the note to another buyer. Where secondary markets do exist — usually through a third-party contract provider — you often have to sell your notes at a deeply discounted price. When all is said and done, P2P investing can be an excellent way to increase the rate of return on the fixed income portion of your portfolio. As long as you know what the risks are and invest accordingly, it could be a winning addition to your investment lineup. It’s not that bad. They provide all the documentation you need to prepare your taxes. But it is a little extra work. Seems like a nightmare come tax time… do P2P sites make it easy for you? Please explain. Thanks for this info! I read some time ago that institutional investors were gobbling up most of these loans, making it very hard for individuals to get in on the action. Have you heard if there’s more availability now?